The Japan Study Group for Endoscopic Surgery was established in 1991, and its first Annual meeting was held at Meiji Kinenkan on March 2 of that year. In response to the needs of the times focusing on less-invasive approaches, the Study Group grew into the Society in 1996. 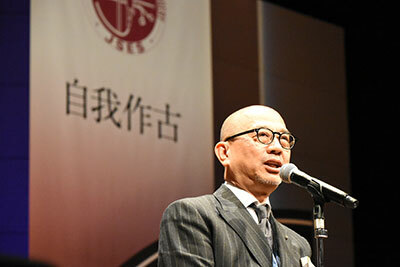 Since then, the Japan Society for Endoscopic Surgery (JSES) has been developing with its increasing members. Among the activities of JSES, we put special emphasis on the national questionnaire survey and the skill qualification system. The questionnaire survey is conducted every two years. Its outcomes, which reflect not only the number of cases but also the types of complications in every area from a large perspective, are utilized as valuable data in many ways. On the other hand, the skill qualification system was started in 2005, heralding the world trend. This system emphasizes the accreditation of endoscopic skills of surgeons as leaders in their local regions and specialized fields. This accreditation system is highly esteemed for its double-blind screening process with a focus on uncut surgery video review, which results in 20-30% of the accrediting rate. JSES now supports around ninety organizations, such as study groups established according to related fields and local regions. Thus, JSES has been contributing to the rapid dissemination of endoscopic surgery, while playing an important role in the development of the equipment and technology. For a decade as JSES, the number of its members now exceeds 13,000. The number of surgical cases totals more than 2,000,000, which shows that endoscopic techniques are regarded as essential in every field today. Taking the initiative, JSES will put more effort into research and education on endoscopic surgery, as well as its dissemination and progress, for further enhancement of welfare in the world.